By this point it was pretty clear that I had several photos that I loved, not just one single photo, so when I was looking through the cards, I looked to the cards that featured multiple photos on the front and back. I love trifolds, so I narrowed my search by clicking on the ‘Tri Fold‘ refinement under ‘Unique Features’ on the left hand side. I didn’t want traditional colors, so I refined by the You Pick Color option so I could mix and match my own color selections. I wanted to feature the baby and the two older kids. Getting my husband and me in the card would be nice but not necessary, so that meant I’d need at least 5 photo spots so I refined by ‘Collage 4+ Photos‘. That left me with a few different card designs that I completely loved. This is where it’s fun, because you can really play with the photos and colors to make the card your own. As I played, I found that I didn’t like the black and white photos as much as I thought, but I loved the creamy glow of the color photos and the blur, so those were the photos I started to play with the most. 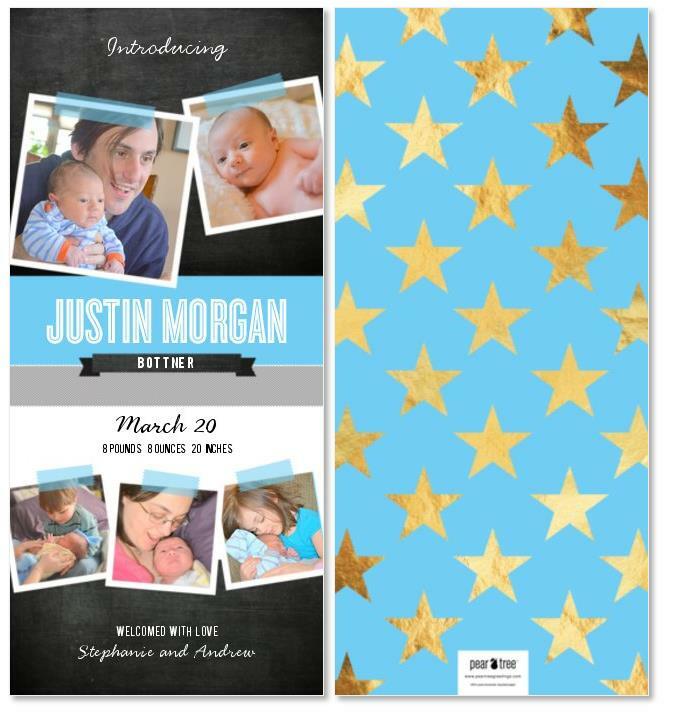 I loved the stars in this one and that the design was definitely not your traditional birth announcement. Yet ultimately, I felt that my photos were a bit too busy to add to such a bold design. I needed something a bit softer. The washi-tape announcement was really nice. It was softer and I loved the wood texture. Yet when I put my photos in, it felt too busy. 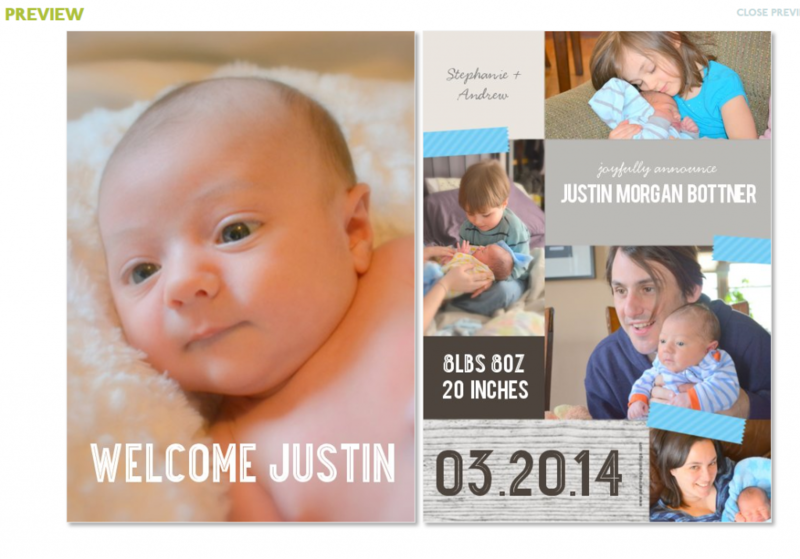 I loved that there were a variety of photo sizes on this card and knew I was getting really close! 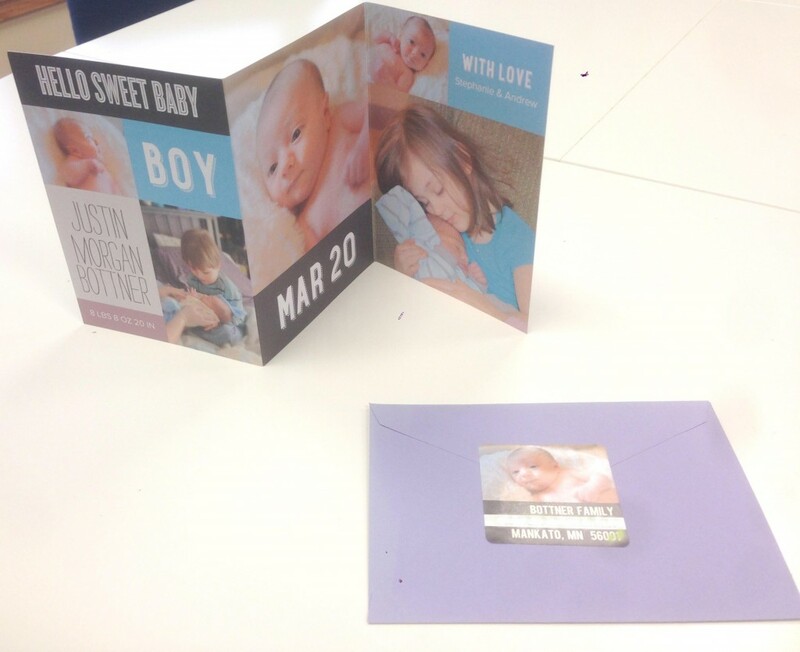 The card I ultimately fell in love with was the Sweet Baby trifold. I loved the bright blue and the dark brownish grey. Yet instead of the orange accents, I changed it to the light purple. The bright blue matched my daughter’s shirt and the purple matched the bedding. I LOVED the colors and how it all went together. 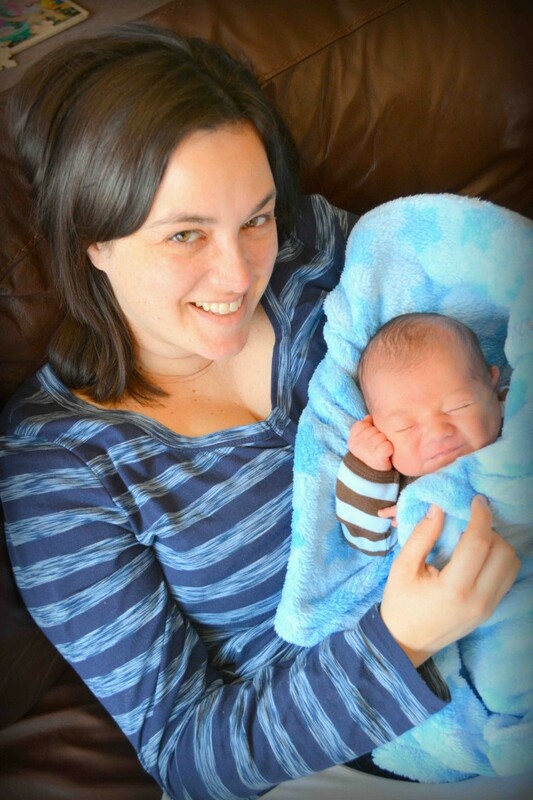 I sent out over 100 birth announcements to colleagues, friends, and family and got such a wonderful response back. I feel so lucky to work with a company that makes a priority out of beauty and the appreciation of life’s special moments. 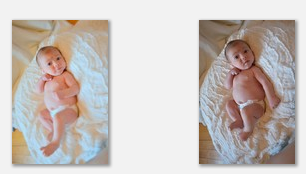 I hope you’ll find my photo tips helpful when creating your own birth announcements.